Coal mining, tourism, and international research are the major revenue sources on Svalbard. Coal mining is the dominant economic activity and a treaty of 9 February 1920 gave the 41 signatories equal rights to exploit mineral deposits, subject to Norwegian regulation. Although US, UK, Dutch, and Swedish coal companies have mined in the past, the only companies still engaging in this are Norwegian and Russian. 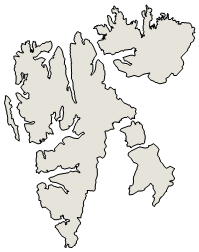 The settlements on Svalbard are essentially company towns. The Norwegian state-owned coal company employs nearly 60% of the Norwegian population on the island, runs many of the local services, and provides most of the local infrastructure. There is also some hunting of seal, reindeer, and fox.